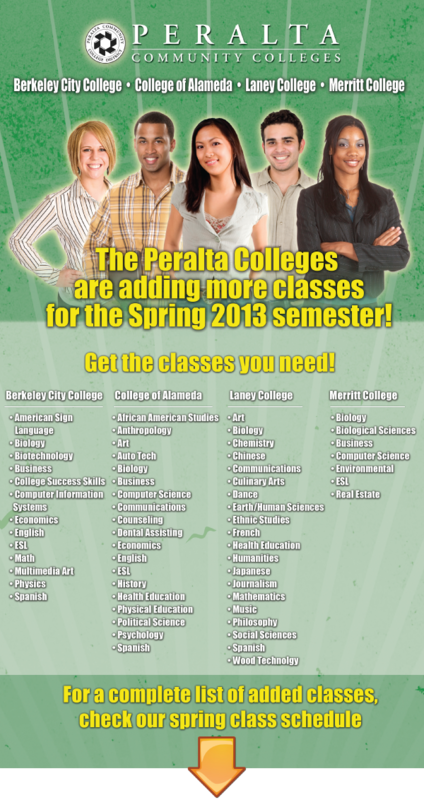 The Peralta Colleges are adding more classes for the Spring 2013 semester! The Peralta Colleges are adding more classes for the Spring 2013 semester! Get the classes you need!